I know very little of T. David Gordon beyond his essays in “By Faith Alone: Answering the Challenges to the Doctrine of Justification” and “The Law is Not of Faith”. From these essays I gather that he is someone who speaks his mind, and perhaps bombastic (he carelessly compares John Murray to the drunk uncle no one wants to talk about). The main thrust of his essays is that Murray departed from the reformed tradition by not acknowledging great discontinuity between the Mosaic and New covenants. He makes several good points, but he tends not to realize that he is not arguing against Murray so much as the WCF tradition. I enjoyed his response to the oft-used argument that paedobaptists use: For God to say he will be God to someone necessarily implies a soteriological relationship. Of course, such an admission undermines the paedobaptist claim that “I will be God to you and your offspring after you” (Gen 17:7) means “the promise of salvation is to your offspring.” Compare Gordon’s comments with Jonathan Edwards’. Benjamin Keach pastored a fellowship at Horse-lie-down, Southwark for 36 years (1668-1704). He was succeeded by Benjamin Stinton from 1704-1718 (14 yrs), who was succeeded by Joh Gill from 1720-1771 (51 yrs). In 1833 the congregation moved to New Park Street where Spuregon began preaching in 1854 (20 years old). 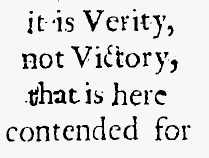 Keach & Gill both held to 1689 Federalism. 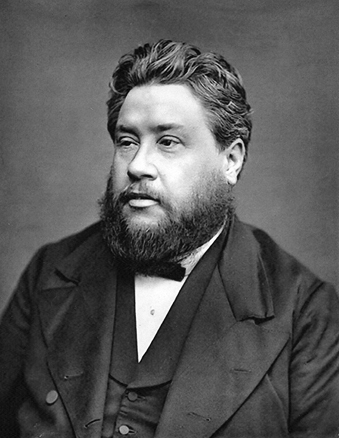 Which view of covenant theology did Spurgeon hold to? “For this is the covenant that I will make with the house of Israel after those days, saith the Lord; I will put my laws into their mind, and write them in their hearts; and I will be to them a God, and they shall be to me a people.” — Hebrews 8:10. [H]ave a joyful respect for it [the covenant of grace]. Awake your harps and join in praise with David—“Although my house is not so with God, yet has He made with me an Everlasting Covenant.” Here is enough to make a Heaven in our hearts while yet we are below—the Lord has entered into a Covenant of Grace and peace with us and He will bless us forever! Then have a jealous respect for it. Never suffer the Covenant of Works to be mixed with it. Hate that preaching—I say not less than that—hate that preaching which does not discriminate between the Covenant of Works and the Covenant of Grace, for it is deadly preaching and damning preaching! Remember that there was a Covenant of old, which men broke—the Covenant of works, “This do, and you shall live.” Keep such and such commands, and you shall be rewarded. That Covenant failed because man did not keep God’s commands and so did not earn the promised reward. We broke the terms of that contract and it is no longer valid, except that we come under penalty for the breach of it, and that penalty is that we are to be cast away from God’s Presence and to perish without hope, so far as that broken Covenant is concerned. Now, rolling up that old Covenant as a useless thing out of which no salvation can ever come, God comes to us in another way and He says, “I will make a new Covenant with you, not like the old one at all.” It is a Covenant of Grace— a Covenant made, not with the worthy, but with the unworthy! A Covenant not made upon conditions, but unconditionally, every supposed condition having been fulfilled by our great Representative and Surety, the Lord Jesus Christ! A Covenant without an, “if,” or a, “but,” in it, “ordered in all things, and sure.” A Covenant of shalls and wills in which God says, “I will, and you shall!” A Covenant just suited to our broken-down and helpless condition. A Covenant which will land everyone who is interested in it in Heaven! No other Covenant will ever do this. This renewing work has been in our Lord’s hands from of old. We were under the old covenant, and our first father and federal head, Adam, had broken that covenant, and we were ruined by his fatal breach. The substance of the old covenant was on this wise,—”If thou wilt keep my command thou shalt live, and thy posterity shall live; but if thou shalt eat of the tree which I have forbidden thee, dying, thou shalt die, and all thy posterity in thee.” This is where we were found, broken in pieces, sore wounded, and even slain by the tremendous fall which destroyed both our Paradise and ourselves. We died in Adam as to spiritual life, and our death revealed itself in an inward tendency to evil which reigned in our members. We were like Ezekiel’s deserted infant unswaddled and unwashed, left in our pollution to die; but the Son of God passed by and saw us in the greatness of our ruin. In his wondrous love our Lord Jesus put us under a new covenant, a covenant of which he became the second Adam, a covenant which ran on this wise,—”If thou shalt render perfect obedience and vindicate my justice, then those who are in thee shall not perish, but they shall live because thou livest.” Now, our Lord Jesus, our Surety and Covenant Head, has fulfilled his portion of the covenant engagement, and the compact stands as a bond of pure promise without condition or risk. Those who are participants in that covenant cannot invalidate it, for it never did depend upon them, but only upon him who was and is their federal head and representative before God. Of Jesus the demand was made and he met it. By him man’s side of the covenant was undertaken and fulfilled, and now no condition remains; it is solely made up of promises which are unconditional and sure to all the seed. To-day believers are not under the covenant of “If thou doest this thou shalt live,” but under that new covenant which says, “Their sins and their iniquities will I remember no more.” It is not now “Do and live,” but “Live and do;” we think not of merit and reward, but of free grace producing holy practice as the result of gratitude. What law could not do, grace has accomplished. Spurgeon clearly understood the importance of distinguishing between the Covenant of Works and the Covenant of Grace. But did he follow Calvin and Westminster? Did he believe that all of the post-fall covenants were renewals of the same covenant? Did he believe the Mosaic Covenant was the Covenant of Grace? This Epistle to the Hebrews is full of distinctions between the old covenant and the new, the gist of it being to show that the former covenant was only typical of that abiding dispensation which followed it; for it had only the shadow, and not the very image of heavenly things. “I will be their God.”—Jeremiah 31:33. WHAT A glorious covenant the second covenant is! Well might it be called “a better covenant, which was established upon better promises.” Heb. viii. 6. It is so glorious that the very thought of it is enough to overwhelm the soul, when it discerns the amazing condescension and infinite love of God, in having framed a covenant for such unworthy creatures, for such glorious purposes, with such disinterested motives. It is better than the other covenant, the covenant of works, which was made with Adam; or that covenant which is said to have been made with Israel, on the day when they came out of Egypt. It is better, for it is founded upon a better principle. The old covenant was founded on the principle of merit; it was, “Serve God and thou shalt be rewarded for it; if thou walkest perfectly in the fear of the Lord, God will walk well towards thee, and all the blessings of Mount Gerizim shall come upon thee, and thou shalt be exceedingly blessed in this world, and the world which is to come.” But that covenant fell to the ground, because, although it was just that man should be rewarded for his good works, or punished for his evil ones, yet man being sure to sin, and since the fall infallibly tending towards iniquity, the covenant was not suitable for his happiness, nor could it promote his eternal welfare. But the new covenant, is not founded on works at all, it is a covenant of pure unmingled grace; you may read it from its first word to its last, and there is not a solitary syllable as to anything to be done by us. Christ is the messenger of the covenant, in the next place, as the messenger of the Father to us. Moses was messenger of the covenant of works, and his face shone, for the ministration of death was glorious; but Christ is the messenger of the covenant of grace. “For this is the covenant that I will make with the house of Israel after those days, saith the Lord; I will put my laws into their mind, and write them in their hearts.”—Hebrews 8:10. WHEN God gave to Israel his law,—the law of the first covenant,—it was such a holy law that it ought to have been kept by the people. It was a just and righteous law, concerning which God said, “Ye shall do my judgments, and keep mine ordinances, to walk therein: I am the Lord your God. Ye shall therefore keep my statutes, and my judgments: which if a man do, he shall live in them: I am the Lord.” The law of the ten commandments is strictly just; it is such a law as a man might make for himself if he studied his own best interests, and had wisdom enough to frame it aright. It is a perfect law, in which the interests of God and man are both studied; it is not a partial law, but impartial, complete, and covering all the circumstances of life. You could not take away one command out of the ten without spoiling both tables of the law, and you could not add another command without being guilty of making a superfluity. The law is holy, and just, and good; it is like the God who made it, it is a perfect law. Then, surely, it ought to have been kept. When men revolt against unjust laws, they are to be commended; but when a law is admitted to be perfect, then disobedience to it is an act of exceeding guilt. Further, God not only gave a law which ought to have been kept, because of its own intrinsic excellence, but he also gave it in a very wonderful way, which ought to have ensured its observance by the people. The Lord came down upon Mount Sinai in fire, and the mountain was altogether on a smoke, and the smoke thereof ascended “as the smoke of a furnace, and the whole mount Quaked greatly;” and the sight that was then seen on Sinai, and the sounds that were there heard, and all the pomp and awful grandeur were so terrible that even Moses,—that boldest, calmest, quietest of men said, “I do exceedingly fear and quake.” The children of Israel, as they heard that law proclaimed, were so amazed and overwhelmed with God’s display of his majesty and might, that they were ready enough to promise to keep his commandments. The law of God could not have Been made known to mankind in grander or more sublime style than was displayed in the giving of that covenant on Mount Sinai. And, dear friends, after the giving of the law, did not God affix to it those terrible penalties which should have prevented men from disobeying his commands? “Cursed is every one that continueth not in all things which are written in the book of the law to do them” “The soul that sinneth, it shall die.” It was the capital sentence that was to be pronounced upon the disobedient; there could be no heavier punishment than that. God had, as it were, drawn his sword against sin; and if man had been a reasonable being, he ought at once to have started back from committing an act which he might be sure would make God his foe. Moreover, the blessings that were appended to the keeping of the law ought to have induced men to keep it; look again at those words I quoted just now: “Ye shall therefore keep my statutes, and my judgments: which if a man do, he shall live in them: I am the Lord.” This did not mean that the man who kept God’s law should merely exist; there are some in these degenerate days who seek to make out life to be existence, and death to be annihilation, but there is little likeness between the words, or between what those words mean. “He shall live in them,” said the Lord concerning the man who kept his law; and there is a fullness of blessedness couched in that word, “live.” If men had kept the covenant of the Lord,—if Adam, for instance, had kept it in the garden of Eden, the rose would have been without a thorn to tear his flesh, and the enjoyment of life would never have been marred by the bitterness of toil or grief. But, alas! notwithstanding all these solemn sanctions of the ancient covenant, men did not keep it. The promise, “This do, and thou shalt live,” never produced any doing that was worthy to be rewarded with life; and the threatening, “Do this, and thou shalt die,” never kept any man back from daringly venturing into the wrong road which leadeth unto death. The fact is, that the covenant of works, if it be looked upon as a way of safety, is a total failure. No man ever persevered in it unto the end, and no man ever attained unto life by keeping it. Nor can we, now that we are fallen, ever hope to be better than our unfallen covenant-head, Adam; nor may we, who are already lost and condemned by our sinful works, dream for a moment that we shall be able to save ourselves by our works. You see, dear friends, the first covenant was in these terms,—”You do right, and God will reward you for it. If you deserve life, God will give it to you.” Now, as you all know right well, that covenant was broken all to pieces; it was unable to stand by reason of the weakness of our flesh and the corruptness of our nature. So God set aside that first covenant, he put it away as an outworn and useless thing; and he brought in a new covenant,—the covenant of grace; and in our text we see what is the tenor of it: “I will put my laws into their mind, and write them in their hearts.” This is one of the most glorious promises that ever fell from the lips of infinite love. God said not, “I will come again, as I came on Sinai, and thunder at them.” No, but, “I will come in gentleness and mercy, and find a way into their hearts.” He said not, “I will take two great tables of stone, and with my finger write out my law before their eyes.” No, but, “I will put my finger upon their hearts, and there will I write my law.” He said not, “I will give promises and threatenings that shall be the safeguard of this new covenant;” but, “I will with my Spirit graciously operate upon their minds and their hearts, and so I will sweetly influence them to serve me,—not for reward, nor from any servile motive, but because they know me, and they love me, and they feel it to be their delight to walk in the way of my commandments.” O dear sirs may you all be shares in the blessings of that new covenant! May God say this of you, and do this to you; and if so, we shall meet in the glory-land, to sing unto the grace of that eternal God who has wrought so wondrously with us, and in us, and for us! First, we invite you to notice THE TWO WOMEN—Hagar and Sarah. It is said that they are the types of the two covenants; and before we start we must not forget to tell you what the covenants are. The first covenant for which Hagar stands, is the covenant of works, which is this: “There is my law, O man; if thou on thy side wilt engage to keep it, I on my side will engage that thou shalt live by keeping it. If thou wilt promise to obey my commands perfectly, wholly, fully, without a single flaw, I will carry thee to heaven. But mark me, if thou violatest one command, if thou dost rebel against a single ordinance, I will destroy thee for ever.” That is the Hagar covenant—the covenant propounded on Sinai, amidst tempests, fire and smoke—or rather, propounded, first of all, in the garden of Eden, where God said to Adam, “In the day that thou eatest thereof thou shalt surely die.” As long as he did not eat of the tree, but remained spotless and sinless, he was most assuredly to live. That is the covenant of the law, the Hagar covenant. The Sarah covenant is the covenant of grace, not made with God and man, but made with God and Christ Jesus, which covenant is this: “Christ Jesus on his part engages to bear the penalty of all his people’s sins, to die, to pay their debts, to take their iniquities upon his shoulders; and the Father promises on his part that all for whom the Son doth die shall most assuredly be saved; that seeing they have evil hearts, he will put his law in their hearts, that they shall not depart from it, and that seeing they have sins, he will pass them by and not remember them any more for ever.” The covenant of works was, “Do this and live, O man!” but the covenant of grace is, “Do this, O Christ, and thou shalt live, O man!” The difference of covenants rests here. The one was made with man, the other with Christ; the one was a conditional covenant, conditional on Adam’s standing, the other is a conditional covenant with Christ, but as perfectly unconditional with us. While Spurgeon did clearly separate the Mosaic Covenant from the Covenant of Grace, he did not clearly separate the Mosaic Covenant of Works from the Adamic Covenant of Works. He did not follow John Owen and Nehemiah Coxe (among others) in limiting the Mosaic Covenant to temporal life in the land of Canaan. Nor did he make the careful qualifications that Keach made (that the Adamic Covenant of Works was revealed in the Covenant of Works with Israel, while being separate from it). Of course, these quotes are taken from sermons, not treatises or polemical tracts like the earlier Particular Baptists wrote, so we can’t expect the same level of nuance (and some did articulate it similarly to Spurgeon – see links). This is the central truth of all Scripture, it is the basis of all Scripture. When Paul desires to set forth the covenant of grace, he appeals to this passage [Jer 31:27-37]. Twice, in the Epistle to the Hebrews, he bases an argument upon it, and after quoting it, adds, “Whereof the Holy Ghost also is a witness to us.” Brethren and sisters in Christ, under the first covenant we are ruined; there is no salvation for us but under this new covenant, wherefore let us read to our joy and comfort what the promises and provisions of that new covenant are. The first Covenant was the Covenant of Works—”Do this and you shall live.” That Covenant, as I have shown you, was broken, but the new Covenant is a Covenant of pure Grace. Christ has fulfilled all its conditions on His people’s behalf and, therefore, all its privileges are theirs… Yet once more, let me remind you that the ensign of this Covenant is faith. Under the old Covenant it was and always would have been, works. But, under the new Covenant, it is faith. Do you believe? Then you are in Christ and all the blessings of the Covenant of Grace are yours. He followed both Keach and Gill’s minority view in that he did not separate or distinguish the Covenant of Redemption from the Covenant of Grace. Thus, I say, run the covenant, in ones like these: “I, the Most High Jehovah, do hereby give unto my only begotten and well-beloved Son, a people, countless beyond the number of stars, who shall be by him washed from sin, by him preserved, and kept, and led, and by him, at last, presented before my throne, without spot, or wrinkle, or any such thing. I covenant by oath, and swear by myself, because I can swear by no greater, that these whom I now give to Christ shall be for ever the objects of my eternal love. Them I will forgive through the merit of the blood. To these will I give a perfect righteousness; these will I adopt and make my sons and daughters, and these shall reign with me through Christ eternally.” Thus run that glorious side of the covenant. The Holy Spirit also, as one of the high contracting parties on this side of the covenant, gave his declaration, “I hereby covenant,” saith he, “that all whom the Father giveth to the Son, I will in due time quicken. I will show them their need of redemption; I will cut off from them all groundless hope, and destroy their refuges of lies. I will bring them to the blood of sprinkling; I will give them faith whereby this blood shall be applied to them, I will work in them every grace; I will keep their faith alive; I will cleanse them and drive out all depravity from them, and they shall be presented at last spotless and faultless.” This was the one side of the covenant, which is at this very day being fulfilled and scrupulously kept. As for the other side of the covenant this was the part of it, engaged and covenanted by Christ. He thus declared, and covenanted with his Father: “My Father, on my part I covenant that in the fullness of time I will become man. I will take upon myself the form and nature of the fallen race. I will live in their wretched world, and for my people I will keep the law perfectly. I will work out a spotless righteousness, which shall be acceptable to the demands of thy just and holy law. In due time I will bear the sins of all my people. Thou shalt exact their debts on me; the chastisement of their peace I will endure, and by my stripes they shall be healed. My Father, I covenant and promise that I will be obedient unto death, even the death of the cross. I will magnify thy law, and make it honourable. I will suffer all they ought to have suffered. I will endure the curse of thy law, and all the vials of thy wrath shall be emptied and spent upon my head. I will then rise again; I will ascend into heaven; I will intercede for them at thy right hand; and I will make myself responsible for every one of them, that not one of those whom thou hast given me shall ever be lost, but I will bring all my sheep of whom, by thy blood, thou hast constituted me the shepherd—I will bring every one safe to thee at last.” Thus ran the covenant; and now, I think, you have a clear idea of what it was and how it stands—the covenant between God and Christ, between God the Father and God the Spirit, and God the Son as the covenant head and representative of all Gods elect. I have told you, as briefly as I could what were the stipulations of it. You will please to remark, my dear friends, that the covenant is, on one side, perfectly fulfilled. God the Son has paid the debts of all the elect. He has, for us men and for our redemption, suffered the whole of wrath divine. Nothing remaineth now on this side of the question except that he shall continue to intercede, that he may safely bring all his redeemed to glory. The covenant—to come at once straight to the matter, however offensive the doctrine may be—the covenant has relationship to the elect and none besides. Does this offend you? Be ye offended ever more. What said Christ? “I pray for them: I pray not for the world, but for them which thou hast given me: for they are thine.” If Christ prayeth for none but for the chosen, why should ye be angry that ye are also taught from the Word of God that in the covenant there was provision made for the like persons, that they might receive eternal life. As many as shall believe, as many as shall trust in Christ, as many as shall persevere unto the end, as many as shall enter into the eternal rest, so many and no more are interested in the covenant of divine grace. Through His substitutionary Sacrifice, they were even then “accepted in the Beloved” and, in the fullness of time, they become Believers in Him and so enter consciously into the enjoyment of the Covenant privileges which had been conferred upon them from eternity! The Covenant is not made with them when they believe in Jesus—it was made on their behalf by the Father and the Son in the eternal council chamber long before the daystar knew its place or planets ran their round! In 1867, Spurgeon wrote against a new teaching called Dispensationalism in his Sword and Trowel publication. An earnest study of those Scriptures which disclose “the everlasting covenant” as it was gradually but distinctly revealed, will do more than any arguments of ours to dissipate the mist of those strange doctrines we have referred to. That Covenant was declared to Noah; it was still further opened to Abraham and Isaac, it was confirmed to David; Isaiah rejoiced in its sure mercies, Jeremiah was privileged to relate many of its special provisions; and Paul avers in his epistle to the Hebrews that this is the Covenant under the provisions of which the precious blood of Christ was shed; it is the blood of the new Covenant… According to the terms of the everlasting Covenant, and not according to the law, nor yet according to the tenor of any transient dispensations, the Old Testament saints were justified and accepted of God. Further, the blood of Jesus is also the Seal of the Covenant Speaking after the manner of men, until the blood of Jesus had been shed, the Covenant was not signed, sealed and ratified. It was like a will that could only become valid by the death of the testator. It is true that there was such perfect unity of heart between the Father and the Son, and such mutual foreknowledge that the Covenant would be ratified in due time—that multitudes of the chosen ones were welcomed to Heaven in anticipation of the redemption which would actually be accomplished by Christ upon the Cross. But when Jesus took upon Himself the likeness of men and in our human nature suffered and died upon the accursed tree, He did, as it were, write His name in crimson characters upon the Eternal Covenant and thus sealed it with His blood. It is because the blood of Jesus is the Seal of this Covenant that it has such power to bless us and is the means of lifting us up out of the prison-pit wherein is no water. What about the Noahic, Abrahamic, and Davidic Covenants? This passage is somewhat vague. It could potentially be read as saying the the Noahic, Abrahamic, and Davidic covenants were renewals of the Covenant of Grace. If you re-read the paragraph, you will see that Spurgeon very clearly addresses each covenant on its own. He does not refer to them as the same covenant. The renewal he speaks of is the Abrahamic Covenant renewal to Issac, Jacob, etc. Separate from these covenants that God made with Noah, Abraham, and David, God also made a covenant with Jesus – the Covenant of Grace. “As for you, also, by the blood of your Covenant I have sent forth your prisoners out of the pit wherein is no water.” Zechariah 9:11. THE LORD is here speaking to His ancient people, Israel. That nation had always been preserved, although other nations had been destroyed—and the reason was that God had entered into a Covenant with Abraham on their behalf. Circumcision was the sign and seal of the Covenant, so that God could truly speak of “the blood of your Covenant.” The Jews have never ceased to be a nation, though they have been scattered, peeled and delivered over into the hand of their adversaries because of their sins. They may enjoy various rights and privileges in the different countries where they sojourn for a while, but they cannot be absorbed into the nationalities by which they are surrounded. They must always be a separate and distinct people—but the day shall yet come when the branches of the olive tree, which have been so long cut off, shall be grafted in again. Then shall they, as a nation, again behold the Messiah, the true and only King of the Jews—and their fullness shall be the fullness of the Gentiles, also! All Believers have some share in that Covenant made with Abraham, for he is the father of the faithful. We who believe in Jesus are of the seed of Abraham, not according to the flesh, but according to the promise, and we are pressed by a Covenant which like that made with Abraham, is signed and sealed with blood even “the blood of the Everlasting Covenant.” We, too, are saved and kept as a separate and distinct people, not because of any natural goodness in us, or because of our superiority over others, but solely and entirely because the Lord has made an Eternal Covenant concerning us, which is “ordered in all things and sure,” because Jesus Christ is, Himself, the Surety on our behalf that its guarantees and pledges shall all be carried into effect. Here Spurgeon is articulating the dichotomous nature of the Abrahamic Covenant. Abraham had a two-fold seed with different promises made to each. Furthermore, he clearly distinguishes between the Abrahamic Covenant and the Everlasting Covenant of Grace (which was “like that made with Abraham”). The Abrahamic is signed and sealed by circumcision while the Covenant of Grace is signed and sealed by the blood of Christ. As an instance of the expulsive power of a new delight, we all know how the memory of the old dispensation is gone from us. Brethren, did any one of you ever weep because you did not sit at the Passover? Did you ever regret the Paschal lamb? Oh, never, because you have fed on Christ! Was there ever man that knows his Lord that ever did lament that he had not the sign of the old Abrahamic covenant in his flesh? Nay, he gladly dispenses with the rites of the old covenant, since he has the fullness of their meaning in his Lord. Does the covenant say, “A new heart will I give thee, and a right spirit will I put within thee?” It must be done, for Jesus died, and Jesus’ death is the seal of the covenant… The blood is the symbol, the token, the earnest, the surety, the seal of the covenant of grace to thee… May God take away the enmity out of your heart to his own precious truth, and reconcile you to himself through THE BLOOD of his Son, which is the bond and seal of the everlasting covenant. Covenant theology is a very difficult subject of systematic theology and while Spurgeon did not write systematic treatises (thus we don’t have comments from him in detail on this) when he preached on covenant theology, it was consistent with (at least one strand of) 1689 Federalism, not modern baptist covenant theology. I agree, and because I believe the exegetical basis for the paedobaptist inner/outer covenant membership model is lacking, I remain a credobaptist (see 1689 Federalism, alt link while it’s down: http://confessingbaptist.com/1689Federalism/). Jared Oliphint recently offered a brief argument for paedobaptism at TGC. He offers two texts – Hebrews 10:26-30 and John 15:1-6 – as arguments to prove that New Covenant membership is not limited to the regenerate alone. These texts supposedly teach that there are people in the New Covenant who are not saved, and thus they teach the doctrine of inner/outer membership in the covenant of grace. However, to be more precise, the actual argument is not that the paedobaptist inner/outer covenant is established from these texts, but rather that only the paedobaptist doctrine of covenant can explain these passages, in light of Calvinism. The surface value reading of these texts suggest that one can lose their salvation and that Christ died for those who are not saved (see Why the Author of Hebrews Wouldn’t Have Been a Calvinist @ The Evangelical Arminian, for example). Because the Calvinist believes that Scripture elsewhere clearly teaches the doctrine of the perseverance of the saints as well as limited atonement, and the Calvinist is also committed to the analogy of faith (WCF/LBCF 1.9), which presupposes the non-contradictory nature of Scripture, the Calvinist must offer an alternative reading of the text. The analogy of faith is “the use of a general sense of the meaning of Scripture, constructed from the clear or unambiguous loci…, as the basis for interpreting unclear or ambiguous texts. As distinct from the more basic analogia Scripturae…, the analogia fidei presupposes a sense of the theological meaning of Scripture” (Muller, Dictionary, 33 – see also here). Because the reformed paedobaptist believes that Christ “procured reconciliation” for “all those whom the father has given unto him” (WCF/LBCF 8.5) through an atonement applied to “the elect in all ages” (8.6) and that the “certainty and infallibility” of the perseverance of the saints is guaranteed by “the efficacy of the merit and intercession of Jesus Christ; the abiding of the Spirit and of the seed of God within them; and the nature of the covenant of grace,” (WCF/LBCF 17.2) he must offer a different explanation of “sanctified” and “the covenant” in Hebrews 10:29. He therefore says “sanctified” does not refer to definitive sanctification, nor progressive sanctification, but simply a non-salvific “set apart” (referencing “holy” in 1 Cor 7:14), and “the covenant” refers to a “dual-sided” covenant that one can be in “outwardly” (which procures different blessings from being in the covenant “internally”). In other words, he applies a doctrine of covenant membership established from other texts to this text in order to avoid theological contradiction. And that is a completely legitimate and necessary aspect of proper biblical interpretation – but let’s not pretend such a doctrine is derived from the text. Interpreters have differed as to the reference of the clause, “by which he was sanctified,” – some referring it to Christ and others to the apostate. Those who refer it to Christ explain it in this way, – ‘By His own blood Jesus Christ was consecrated to His office as an intercessory Priest.’ Those who refer it to the apostate consider the Apostle as stating, that in some sense or other he had been sanctified by the blood of Christ. A much more seriously tempting interpretation is that the person who is sanctified is Jesus Christ. The verse would then read as follows: “How much worse punishment, do you think, will be deserved by the one who has spurned the Son of God, and has profaned the blood of the covenant by which that Son of God was sanctified (presumably as an offering).” This is John Owen’s interpretation. It has a great deal to recommend it… I would say that this interpretation is quite defensible. v29 How much worse will your punishment be if you despise the gospel. v30 God was a fierce judge, even in the Old Covenant that you cling to. “Vengeance is mine” comes from Deut 32:35 and “The Lord will judge his people” from the next v36. Neither of these should be interpreted to mean the new covenant contains curses like the old covenant. They are simply establishing the fact, from the Old Covenant the Jews were clinging to, that God is a fierce judge. Owen: “In Deuteronomy it is applied unto such a judgment of them as tends unto their deliverance. But the general truth of the words is, that God is the supreme judge, “he is judge himself, ” Psalm 50:6. This the apostle makes use of, concluding that the righteousness of God, as the supreme judge of all, obligeth him unto this severe destruction of apostates: for “shall not the Judge of all the earth do right?” This is precisely how Paul applies the same verse (to those outside of covenant) in Romans 12:19. Nothing in this passage requires us to believe that apostates were once members of the New Covenant but have been cut off or that this judgment and punishment is a New Covenant curse. Quite the contrary, it is clearly referring to the final judgment. The apostates discussed here are specifically referred to as “adversaries” (v27) not as God’s covenant people. Notice again that the two-sided covenant of grace is not a doctrine derived from this text (where does the text mention this two-sided covenant? ), but a doctrine applied to the text in order to explain it. It is a doctrine based upon the belief that the Old and New covenants are the same covenant – something not taught in this text. That understanding is then applied to passages like this. There is always a great danger of forgetting, however, that these statements are allegories and usually couched in parables, so in interpreting them we must ever keep his central point in view and not try to squeeze teachings out of the lesser details that Christ did not intend and which would contradict His teachings elsewhere.The great rule we must always apply is that scripture interprets scripture, and where a doctrine is uncertain in one portion of scripture, we should go to other areas where it that doctrine is more clearly taught on. Above all, we should strive not to atomistically interpret a verse so that it contradicts other clearer verses. But the latter view, that these dead branches are apostate Christians, must confront the strong evidence within John that true disciples are preserved to the end (e.g. notes on 6:37-40; 10:28). It is more satisfactory to recognize that asking the in me language to settle such disputes is to push the vine imagery too far. The transparent purpose of the verse is to insist that there are no true Christians without some measure of fruit. Fruitfulness is an infallible mark of true Christianity; the alternative is dead wood, and the exigencies of the vine metaphor make it necessary that such wood be connected to the vine. So, according to Webb, using this metaphor to explain covenant union with Christ is to push the imagery too far and to violate the principle that clear passages interpret unclear passages. So, if Jesus is not talking about the Presbyterian doctrine of a two-sided covenant of grace, what is he talking about? *Although vine imagery is widespread in ancient literature, an OT background for the present passage is favored by the vast majority of commentators, primarily owing to the frequent OT references or allusions and the replacement motif in this Gospel (e.g., Carson 1991: 513; R. Brown 1970: 669-71; Morris 1995: 593; Ridderbos 1997: 515; contra Bultmann 1971: 530; Witherington 1995: 255-57). In the famous “Song of the Vineyard” in Isa. 5, the prophet makes the point that God carefully cultivated his vineyard (Israel) and in due time expected to collect fruit from it, but Israel had yielded only bad fruit; hence, God would replace Israel with a more fruitful nation. *(This point is taken up by Jesus’ parable of the wicked tenants Mark 12:1-12). Yet it is not the church that serves as Israel’s replacement (Beasley-Murray 1999: 272); rather, the true vine is Jesus, who is the new Israel (R. Brown 1970: 670) as well as the new temple and the fulfillment of Jewish festival symbolism (Carson 1991: 513). It is he who embodies God’s true intentions for Israel; Jesus is the paradigmatic vine, the channel through whom God’s blessings flow. “I am the true vine” (15:1; cf. Jer 2:21 LXX) is the alst of John’s seven “I am” sayings. “True” vine contrasts Jesus with OT Israel in its lack of fruitfulness and spiritual degeneracy (Morris 1995: 593; Ridderbos 1997: 515; Beasley-Murray 1999: 272; Moloney 1998: 419). So the key to this passage is typology. Jesus is the true Israel. God made a covenant of works with Israel for life and blessing in the land of Canaan. They disobeyed and God exiled them as punishment (Is. 5:1-7). But God also promised a future restoration of this vineyard, one that was exceedingly more glorious (Is. 27:1-13). It turns out this was a prophecy of Jesus, the true Israel, the true vine, the obedient one. Perhaps the most important Old Testament passage is Psalm 80, in that it brings together the themes of vine and son of man… The true (alethinos; cf. notes on 1:9) vine, then, is not the apostate people, but Jesus himself, and those who are incorporated in him. The theme would prove especially telling to diaspora Jews: if they wish to enjoy the status of being part of God’s chosen vine, they must be rightly related to Jesus. How then are we to interpret the branches who are in Jesus but cut off and the branches that abide in Jesus and bear fruit? The best interpretive pointer we have in the immediate context is what Christ says in 15:7: “If you abide in me, and my words abide in you, ask whatever you wish, and it will be done for you.” The association between the apostles’ abiding in Christ and His words’ abiding in them implies that abiding in Christ means believing in Him–that is, believing the words of the gospel… Abiding in Christ is precisely having faith in Him. Reformed paedobaptist (OPC) Bryan Estelle explains how Ezekiel’s prosecution of Israel proceeds upon their violation of the covenant of works God gave them. Leviticus 18:5’s influence on Ezekiel is of paramount importance. The purpose of these echoic allusions in Ezekiel is to show that what Israel has failed to do, God will do… Leviticus 18 allusions are seen throughout the entire book of Ezekiel and not merely restricted (as often) to chapter 20 of Ezekiel where three citations of Lev 18:5 have frequently been noted. Now recall what was mentioned above. Isaiah 5:1-7 describes Israel as a failed vineyard being sent into exile, but God also promised a future restoration of this vineyard, one that was exceedingly more glorious (Is. 27:1-13). Estelle brings out the full meaning of this prophecy. [In Ezekiel there is a] reversal of fortunes based on divine initiative… In short, there is a “composition connection between the unfulfilled ‘statutes and ordinances’ in chapters 18 and 20 with their fulfillment in 36.27 and 37.24; likewise, there is a connection with the ‘life’ unattained by Israel in chapters 18, 20, and 33 and Israel’s ‘life’ in 37.1-14” (Sprinkle) Whereas Israel’s failure to fulfill the stipulations is highlighted repeatedly in Ezekiel 1-24, there is a dramatic reversal of this failure through divine initiative and fulfillment in Ezekiel 36-37… In short, divine causation replaces the conditions incumbent upon the people. What they are unable to perform in and of themselves, Yahweh will accomplish through his own divinely appointed agency. However, this prophecy is not isolated to Ezekiel or Isaiah. It is found from the very beginning of Israel. Estelle explains the full meaning of Deuteronomy 30:1-14. This was Jesus’ point in his teaching on the vine. The Old Covenant was broken and its curses were soon to be poured out upon Israel. In this judgment, the dead branches of Israel would be cut off and thrown in the fire. However, there was a true vine who alone obeyed, and those Israelites who believe in Him would be blessed as faithful, fruit-bearing Israel. John Owen helpfully explained this transition process for the Jews. they were the children of Abraham according to the flesh: but on that account they can have no other privilege than Abraham had in the flesh himself; and this was, as we have showed, that he should he set apart as a special channel, through whose loins God would derive the promised Seed into the world. In like manner were they separated to be a peculiar people, as his posterity, from amongst whom He should be so brought forth. Far from throwing a kink in the “new covenant = salvation” formula, John 15:1-6 beautifully illustrates it. As then the law of works, which was written on the tables of stone, and its reward, the land of promise, which the house of the carnal Israel after their liberation from Egypt received, belonged to the old testament [covenant], so the law of faith, written on the heart, and its reward, the beatific vision which the house of the spiritual Israel, when delivered from the present world, shall perceive, belong to the new testament [covenant]… I beg of you, however, carefully to observe, as far as you can, what I am endeavouring to prove with so much effort. When the prophet promised a new covenant, not according to the covenant which had been formerly made with the people of Israel when liberated from Egypt, he said nothing about a change in the sacrifices or any sacred ordinances, although such change, too, was without doubt to follow, as we see in fact that it did follow, even as the same prophetic scripture testifies in many other passages; but he simply called attention to this difference, that God would impress His laws on the mind of those who belonged to this covenant, and would write them in their hearts, (Jer 31:32-33)… These pertain to the new testament [covenant], are the children of promise, and are regenerated by God the Father and a free mother. Of this kind were all the righteous men of old, and Moses himself, the minister of the old testament, the heir of the new,—because of the faith whereby we live, of one and the same they lived, believing the incarnation, passion, and resurrection of Christ as future, which we believe as already accomplished. Samuel Renihan’s sermons on Isaiah 5:1-7 “Old Covenant Prosecution” and Matthew 21:33-46 “New Covenant Resolution” Very highly recommended. Listen carefully! James White is a tremendous preacher, teacher, apologist, and reformed baptist. I greatly value his ministry. However, there is some confusion regarding his covenant theology. People have asked him before if he agrees with 1689 Federalism and he has said yes. However, I have suspected for many reasons, that he misunderstands the question, thinking it is simply a question about the 2nd London Baptist Confession, and that he doesn’t actually know what 1689 Federalism is. That suspicion was basically confirmed in his recent debate on baptism with Gregg Strawbridge. Dr. White’s response was very clearly an articulation of the modern or “20th century Reformed Baptist” view, as opposed to the 1689 Federalism view. Which is completely fine, if that’s what he believes. But my suspicion has been that, because he is so busy, he’s simply unaware of 1689 Federalism and the covenantal heritage being recovered. [09:07am] DrOakley: I was totally amazed that he, a former Reformed Baptist, even asked the question. [09:07am] DrOakley: Because he should know better. [09:07am] DrOakley: He should know we believe there were regenerate men before the cross! Good grief! [09:07am] DrOakley: That would be like me asking him if he’s a Trinitarian or something. Just silly. [09:08am] brandonadams: Dr White, have you had an opportunity to study 1689 Federalism yet? [09:08am] DrOakley: No, brandon, never heard of the 1689. What’s that? [09:17am] brandonadams: Have you studied 1689 Federalism? [09:17am] DrOakley: Are you suggesting modern Reformed Baptists have misunderstood their own confession? [09:18am] DrOakley: No, I do not invest much time studying every little off-shoot idea out there, sorry. There are…many. [09:18am] DrOakley: Can’t keep up with them all. [09:18am] DrOakley: Is it a major movement? [09:18am] DrOakley: Lots of books on it? [09:22am] DrOakley: I would think the writer to the Hebrews would have mentioned such a claim. I don’t blame Dr. White at all. He’s got a lot on his plate. But I just want to avoid confusion for people out there who have studied 1689 Federalism. James White does not hold to it. He does not know what it is. He may hold to it in the future, but at the present time, he holds to the modern reformed baptist view of covenant theology. His chapters as they appear in Recovering a Covenantal Heritage are consistent with 1689 Federalism, but it was written many years ago as a journal article and he has clearly not read any of the other chapters in the book (which, again, is totally fine – he’s busy).